OMG Posters! » Archive "In The Shop" Art Print by Jay Ryan - OMG Posters! Jay Ryan just released one of his best art prints in recent memory. 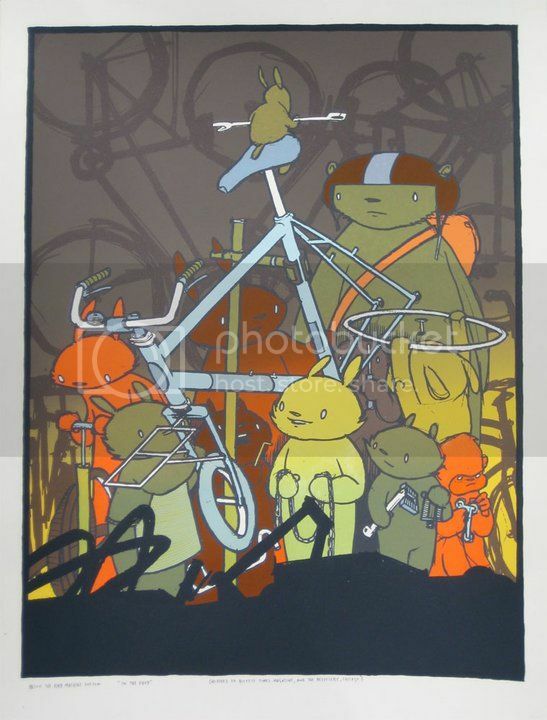 “In The Shop” is an 18″ x 24″ seven color screenprint, has an edition of 260, and costs $30. Visit TheBirdMachine.com. I dont think this is going to last very long. Great print! This is so great, Jay. Is this sold out? I don’t see it in his shop. @Taso – Most likely. It was in the shop an hour ago when I purchased one.